Marine organisms are often exposed to a mixture of various pollutants in marine environment (i.e., nanoparticles, organic pollutants). 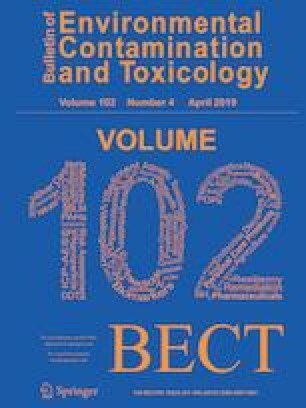 The present study investigated the potential effects of multi-walled carbon nanotubes (MWCNTs) on the toxicity of triphenyltin chloride (TPTCl). The results revealed an antagonistic interaction between MWCNTs and TPTCl on the copepod through 96 h acute exposure, which was attributed to the adsorption of TPTCl to MWCNTs and aggregation of MWCNTs in the test solutions. Results of 21 days’ chronic exposure showed that the effect concentration of MWCNTs could be 100 times lower than that of acute exposure. The exposure to binary mixture of MWCNT (1.0 mg/L) and TPTCl (0.3 µg/L) caused a reduction by 94% for the 3rd time spawning and 83% for the total number of hatched nauplii. The ingestion and exterior attachment of MWCNTs to the copepod might be the main reasons causing the adverse effect in reproduction. This work was financially supported by the National Natural Science Foundation of China (Grants Nos. 41606131, 21205058), the open foundation of Key Laboratory for Ecological Environment in Coastal Areas, State Oceanic Administration (Grant No. 201812), and Dalian University of Technology via the Fundamental Research Funds for the Central Universities (DUT17LK45).